WIMS Members Volunteering at the Community Food Bank Fall 2018!! 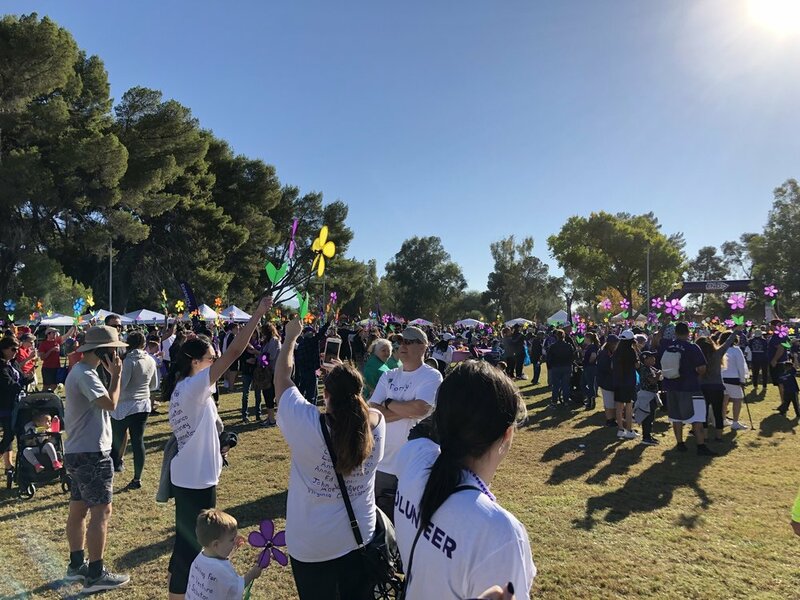 WIMS has recently volunteered with Ben’s Bells and at the Alzheimer’s Walk, check out our pics from these events!! Spring 2018: WIMS members and other sponsors succesfully raised $1000 in money and supplies and donated hygiene and care packages to the homeless and in need population at Z Mansion. A big thank you to everone who helped donate and package the care packages. 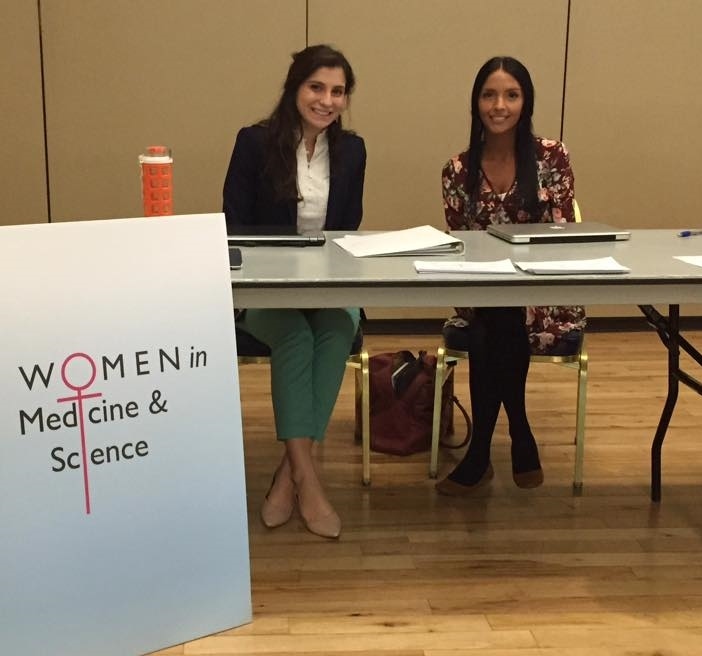 Project Period Fall 2017: Women in Medicine and Science had a very successful project period drive the fall 2017 semester. 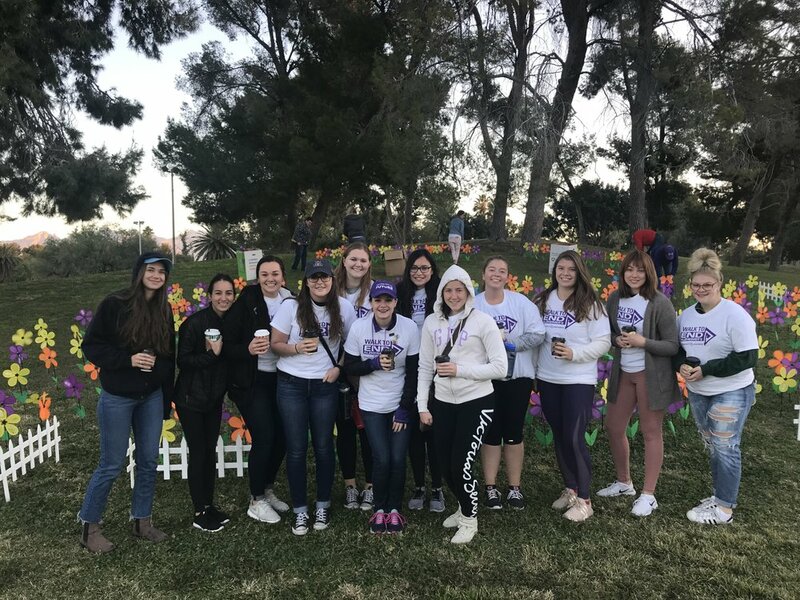 We raised almost 3800 pads and tampons for women in need in our community. Thank you for everyone who donated or helped us share the word. Project Period Pouch: Women in Medicine and Science is partnered up with a school nurse here in the Tucson community to provide period pouches for an under-resourced school that go directly to the middle school girls who are entering puberty. Through these pouches we hope to eliminate any financial constraints or associated taboos associated with periods so that these girls have no restraints or limits to what they can achieve! Through members, Amy Veals leadership in organizing Project Period Pouch WIMS was able to reach beyond our goal of donating the needed 50 Period pouches! Thank you to everyone who donated and supported Project Period Pouch. 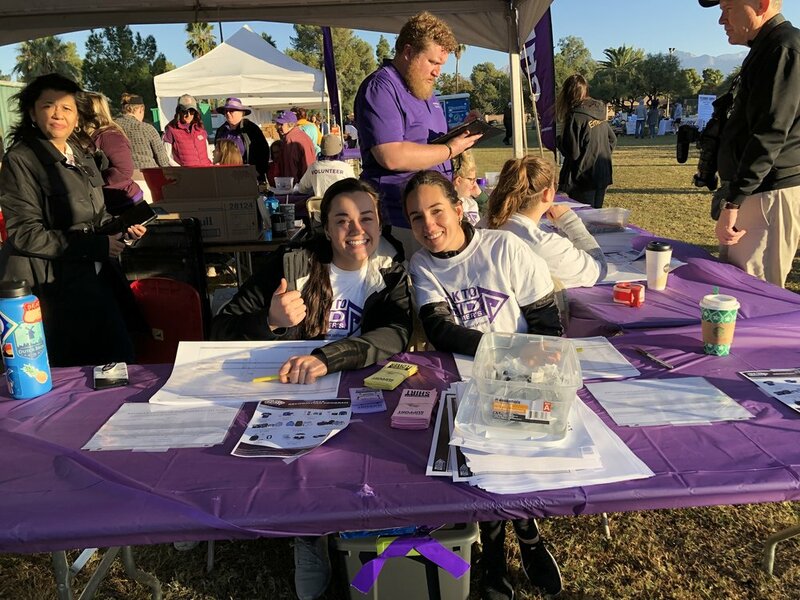 Women in Medicine and Science was award the first runner for the Outstanding Student Organization by the Associated Students of the University of Arizona.! Thank you to everyone who nominated and supported WIMS throughout our time on campus! The National Collegiate Leadership Conference February 2017 : Sarah Rose Purtell and Eleni H Moschonas held a workshop at the National Collegiate Leadership conference on the behalf of WIMS. The workshop titled "Promoting Awareness and discussion on Gender Equity in Medicine" investigated how various barriers are present from elementary school up into University and in careers that continue to effect that access available to young women throughout their education and career. Through our presentation we also presented a survey that we has initiated that asked students from the University of Arizona about their experience as an undergraduate student in science. We presented our research during our presentation. To view the presentation please visit this link! 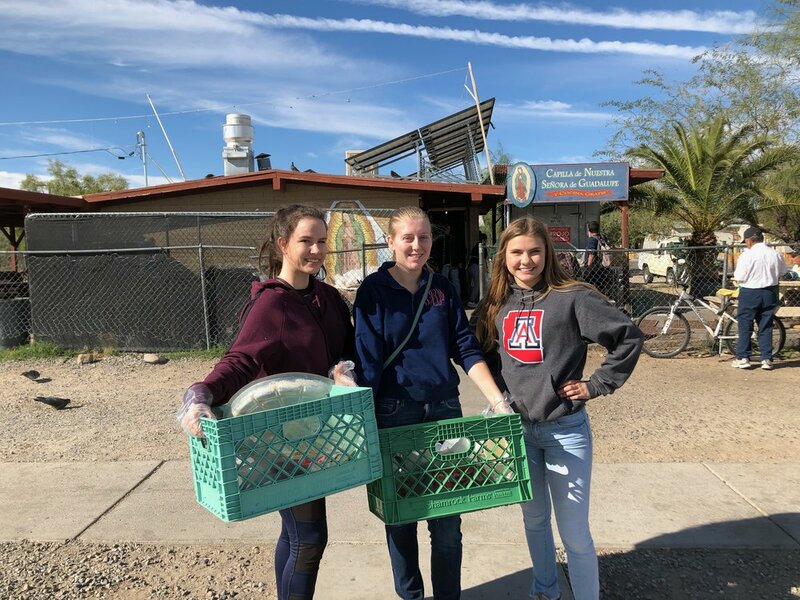 Project Period: Women in Medicine and Science hosted a Project Period drive where they collected sanitary napkins and tampons to donate to the YWCA of Southern Arizona which will go to women and girls who do not have the means to purchase such products. This semester long project aimed to educate members and the community of this large discrepancy so that they can advocate for change as well as, aid in the immediate need. Through the help of WIMS members and people from the Tucson community WIMS as a whole was able to donate 5,WIMS along with members from the Tucson community who donated monetary funds and/or packages of pads/tampons to the WIMS drive as a whole donated over 5,000 individual pads and tampons to the YWCA. We are grateful for all the help WIMS received thank you to everyone who shared, donated, and gave their time. To find out when the next WIMS Science Fun Outreach Event is please visit our Upcoming Events Page! WIMS outreach event with WISE and Expanding your Horizons at Walden Grove high school! We prepared an experiment that tested the various levels of Vitamin C in three types of juices using a simple titration! PowerPoint/worksheets are available upon request. Experiment and supplemental supplies made by Eleni Moschonas, Leah Hall and Devan Arkley. Featured in photo member, Makenna Paule and students! WIMS was featured in the Arizona Daily Wildcat in print and online! Check out the article here. 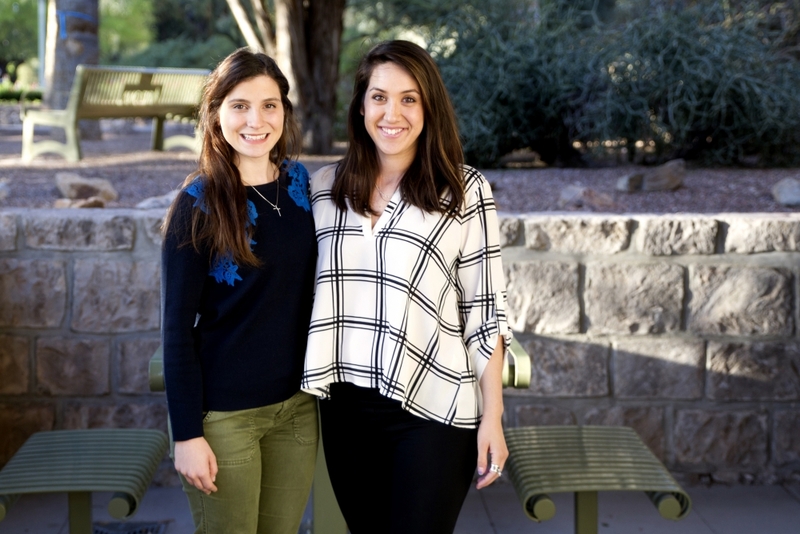 Featured Eleni Moschonas (left) and Devan Arkley (right). 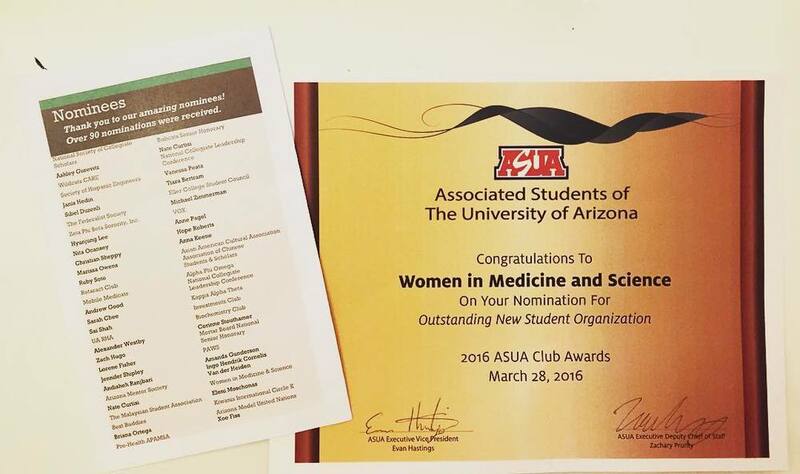 Women in Medicine and Science was nominated for Outstanding New Student Organization in March 2016.